Tuesday night we participated in the Upstate Bridal Association’s Veils and Tails Wedding Show! What a great show it was and what a great crowd! 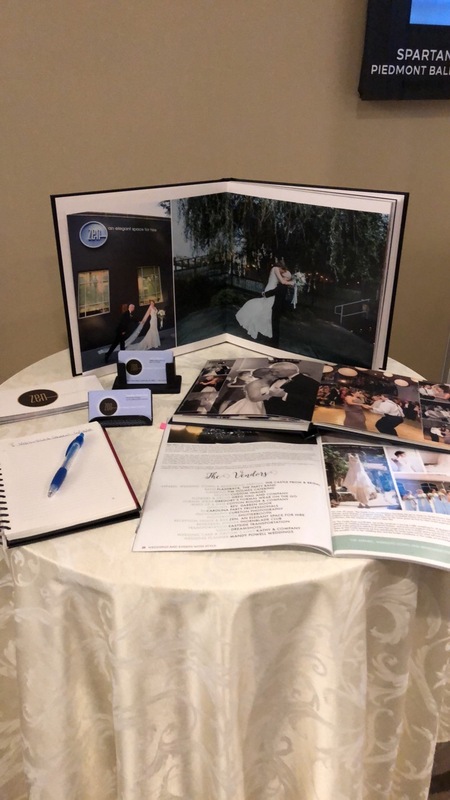 We really enjoyed meeting all the brides, their grooms, and family/friends. 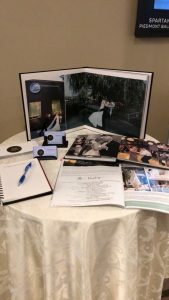 It really takes a lot of help when planning a wedding so it was great to see all the people their for support. Not only seeing all the wonderful brides but seeing all the wonderful vendors that we work with on a daily basis! 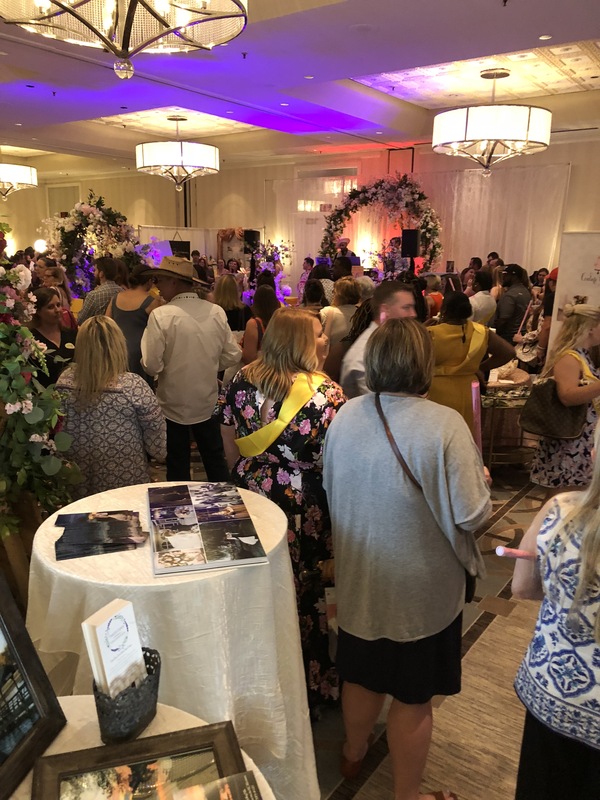 Greenville has quite the wedding scene now and we are so thankful to be apart of it! Here is a shot from the start of the fashion show of bridal dresses. All the brides and visitors gathered in the ballroom to view the dresses as they walked around the room. It was really fun seeing all the different style dresses. I got married 5 years ago and the wedding dress scene has changed so much!! It is so fun to see all the different styles there are. They were all so beautiful! 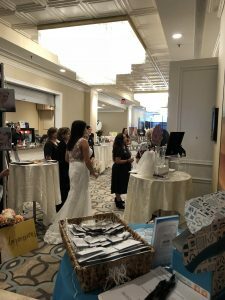 Dimitra Designs and Magnolia Bridals did a wonderful job. Another fun feature was Couture Cakes and Holly’s Cakes provided sample cakes that the “grooms” walked around with during the fashion show. The cakes were BEAUTIFUL and they tasted good too…cake samples are always so fun at these shows!